Speculation surrounding a “deep blue” color option for iPhone 7 kicked off back in June, when “reliable” supply chain sources in Asia claimed Apple would be replacing the existing and familiar space gray option with a brand new color. We’ve heard very little about a blue iPhone 7 since then, but China Unicom won’t let the rumor die. In the image above, it teases what looks like an iPhone with a dual-lens camera, shaped into a number 7, that looks to be coming in gold, rose gold, silver and blue. Obviously we can’t confirm this is indeed an iPhone, and it seems highly unlikely an Apple carrier partner would begin teasing its new device before it is announced. It’s even more unlikely that it would know what color options it will be available in. 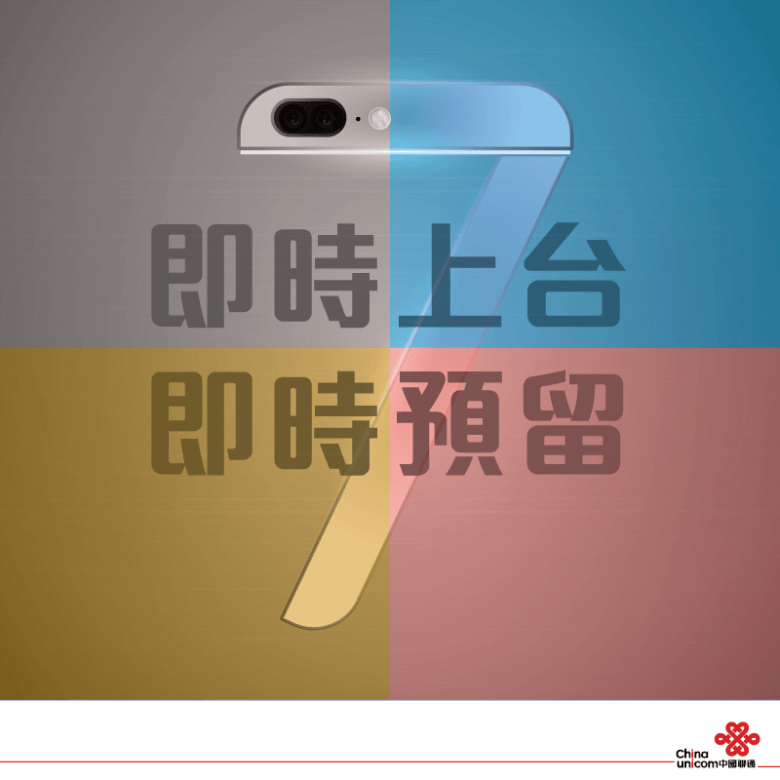 What’s more, there’s something not quite right about the device in China Unicom’s image. It looks too small to be an iPhone 7 Plus, and we all know the smaller iPhone 7 isn’t getting a dual-lens camera. However, it will have redesigned antenna bands, unlike those shown above. This probably isn’t an iPhone 7, then. Instead, it’s almost certainly a Chinese device that designed to look a lot like the iPhone — and China Unicom is probably taking advantage of that with this teaser, knowing that iPhone fans will get excited by it.